Gregory C. Schick is a partner in the Tax, Employee Benefits and Estate Planning Practice Group in the firm's San Francisco and Palo Alto offices. Mr. Schick's practice focuses primarily in the executive compensation, tax and corporate securities laws, and corporate governance areas. Mr. Schick advises both publicly traded and privately held companies as well as individual clients. He negotiates, prepares and reviews equity compensation and change of control plans/agreements, Rule 10b5-1 trading plans along with proxy statements, prospectuses, and other filings required by the 1933/1934 Securities Acts and the national stock exchanges. This includes advising on tax laws, such as Internal Revenue Code Sections 162(m), 280G, 409A governing compensation deduction limitations, golden parachutes, and nonqualified deferred compensation, respectively, and on federal/state securities laws including reporting, disclosure and registration requirements. Mr. Schick also counsels executive management and boards on executive compensation and benefits issues arising in the context of mergers, acquisitions, spin-offs, initial public offerings, and other significant corporate transactions. 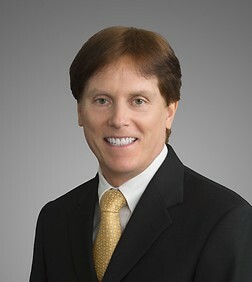 He has appeared as an expert witness in civil litigation. Mr. Schick regularly represents senior level executives and companies in employment and separation agreement matters and management teams in charge of control transactions. He writes and speaks extensively on executive compensation related issues and has authored a portfolio for The Bureau of National Affairs (BNA) titled, "Executive Employment Agreements." Mr. Schick has created and developed numerous quantitative models to analyze, among other things, golden parachutes, personal aircraft use and other executive compensation arrangements. His experience also includes working in corporate business development where he participated in creating business plans, private placement offerings, deal structuring and in developing several high-tech international start-up initiatives.